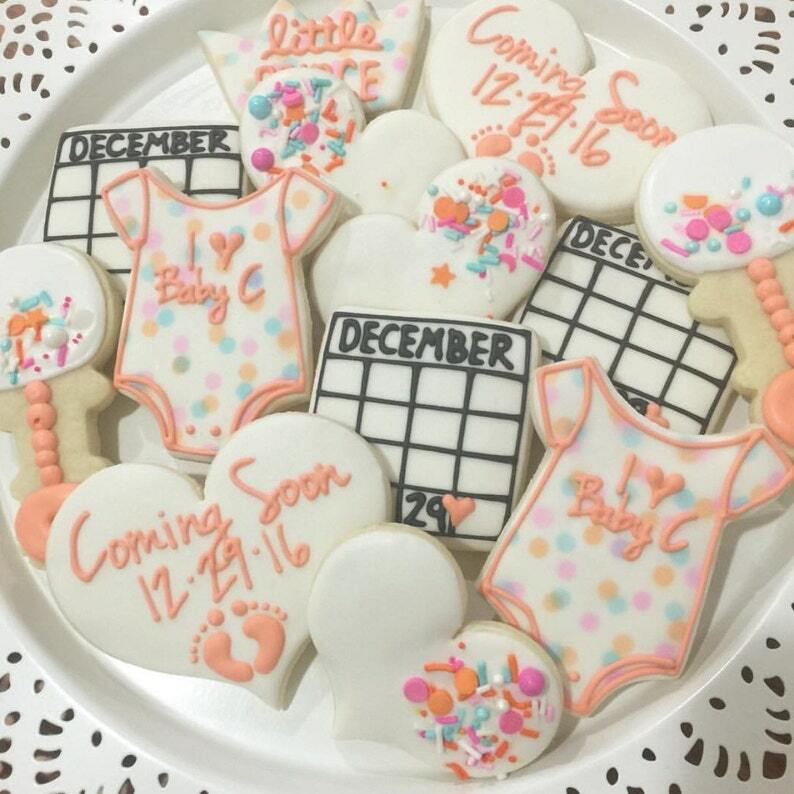 This listing is for 1 dozen (12) Baby Cookies. These cookies are both beautiful and delicious! Perfect for your next celebration! All COLORS can be CUSTOMIZED. Your cookies come sealed in a clear cellophane bag. Personalized Football Jersey Cookies - Only 5 Dollars Each! I was so happy with these cookies! They were beautiful, well packaged and tasted great too!! Will definitely order again! This picture doesn’t do them justice. These cookies were the hit of the shower!!! Not only were they decorated to perfection they were delicious!! I am a customer for life.So so so happy with this purchase!! 2 Dozen MINI (2-2.5 inch) Fiesta Cinco de Mayo Cookies - Small Cookies! All payments must be made in full in order to confirm your date. This is a food item therefore there are no returns or refunds once cookies are baked. Full refunds on cancellations given with two weeks or more notice. I take every precaution when shipping cookies. Cookies are placed in a food safe bag, individually wrapped in bubble wrap, and placed in a bubble lined box. It's then filled to ensure zero movement. While I do all I can to ensure no cookies break, I am not responsible for damage done through transit. All boxes shipped through USPS Priority Mail. Home produced in a kitchen that also processes items with nuts, dairy, and wheat and soy. 4 Pack Football Minis Party Favors/Game Snack - Only 5 Dollars Each!